A single man with a microphone stands among hundreds of jittery competitors with the start sign looming overhead. They form a tight circle around him and fall silent awaiting final instruction. A collective “Hoo-rah” comes from the anxious crowd. 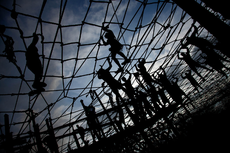 Tough Mudder is a 10-12 mile obstacle race and arguably the most popular competition of its kind. A typical mudder event draws between 10,000 and 20,000 competitors and after more than 100 events; they’ve had 1.3 million participants to date. Mudder pride runs so deep that more than 4,000 competitors have chosen to have a permanent reminder of race day tattooed on them at the finish line and competitors come back time and time again. Extreme races and physically punishing competitions have become increasingly popular in recent years. The allure seems to come in stages, teamwork and struggle then triumph and bragging rights. Challenges in the mainstream races range from a running or crawling through field of hanging live electric wires to mind games like memorization and then punishment for failure. Facing your fears and proving your resilience are what these challenges are all about and most people finish races like Tough Mudder with nothing more than a few scratches and bruises—and a renewed sense of self confidence. There are other races, though, that push the limits of what the human body and mind are actually capable of. These races are in most cases exclusive; reserved for the lunatics and not for the faint of heart. The chances of finishing these races are slim, but the odds of injury are astronomically high. 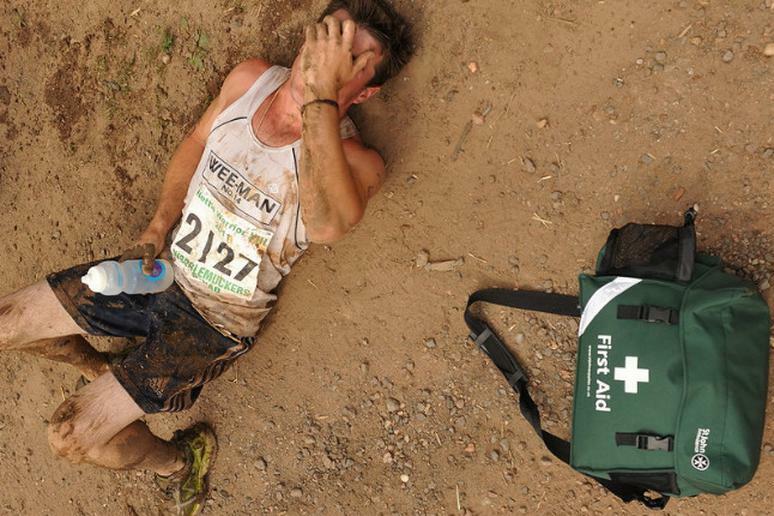 Occasionally there are deaths, yet each year more competitors sign up for these torture fests. Click here to see the Fitness Challenges that Could Kill You.